Starts: 9:00am or 3:00pm (afternoon tour available March to October only). 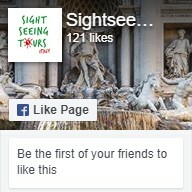 Mini-group upgrade – want a more intimate Ancient Rome & Colosseum experience? Upgrade to our mini-group tour for a premium tour with a maximum of eight travellers. This small group allows for a more personal tour, so you can get the most out of your time in this historical area. 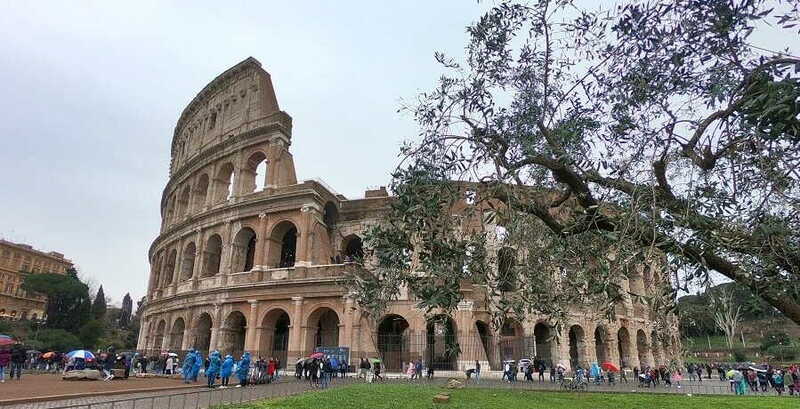 The Colosseum is an icon of Rome and a must visit for any traveller to the Eternal City. Inaugurated in AD 80, the 50 000-seat amphitheatre once staged violent games of fighting gladiators and wild animals, enjoyed by all classes of Roman society. 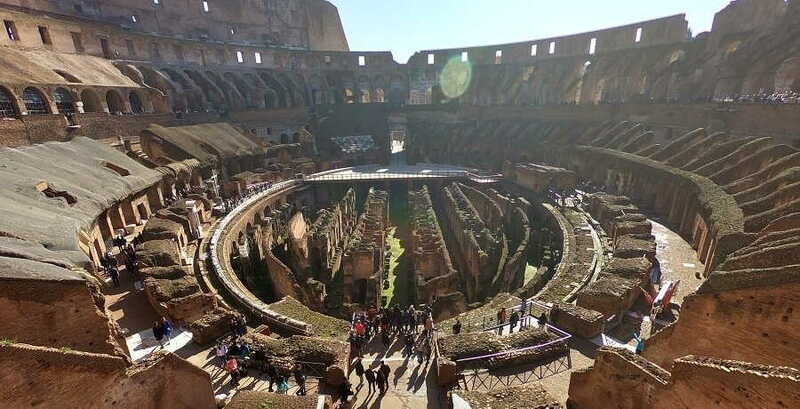 Our Colosseum tour begins as we enter the Colosseum with Skip the Line tickets to explore the ancient remains and imagine the hard life of the Roman gladiators 2000 years ago. 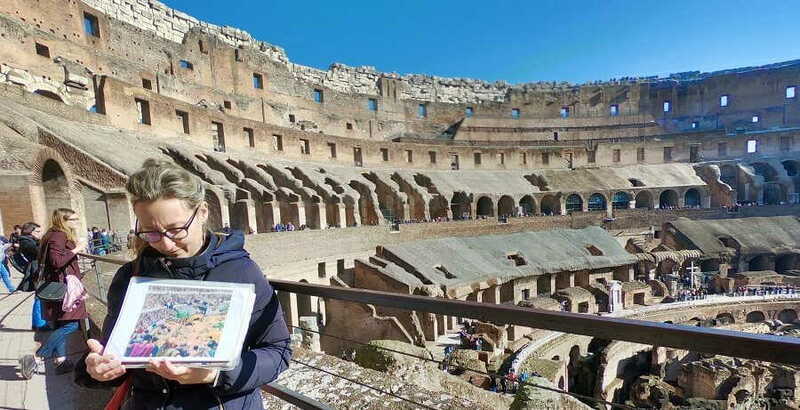 Your tour guide will take you back to the time of the Roman Empire with stories of the architecture and fascinating history of this world-famous landmark. 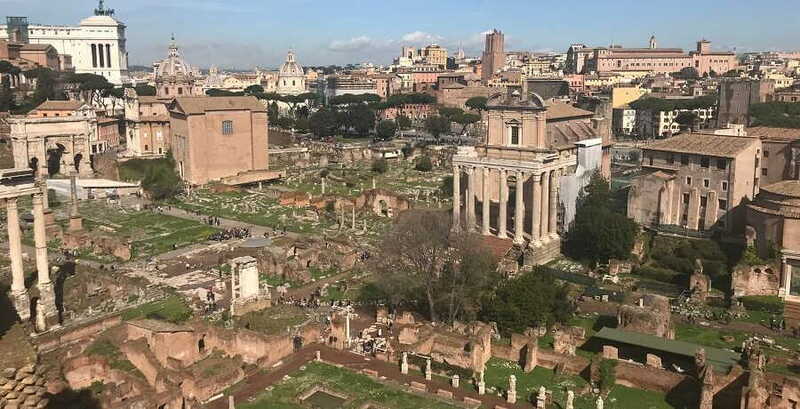 Back outside, the Colosseum Tour and exploration of Ancient Rome continues with a visit to nearby Roman Forum, once the social, political and commercial hub of the Roman Empire. Here, your tour guide will help you understand the sprawling ruins, recreating an image of how the area looked thousands of years ago. 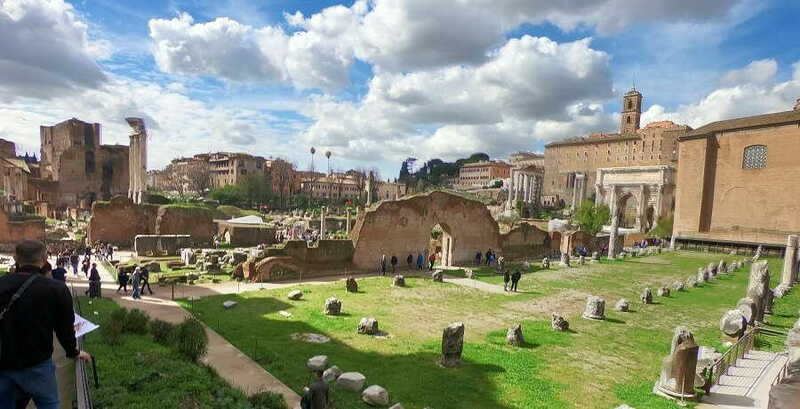 Tour around this unrivalled archaeological area and enjoy views of important historical sites including the Curia, the Temple and House of Vestals, funeral altar of Julius Caesar, Arch of Titus and much more. From the Roman Forum we climb Palatine Hill, the site on which Romulus is said to have founded the city of Rome. The hill commands spectacular views of the ruins of Imperial Palace and Circus Maximus. We conclude the tour taking in these impressive views and recalling a time in Ancient Rome when the Circus Maximus was used for chariot racing. Once the Colosseum Tour is finished, you are free to explore the area of fascinating excavations and historic sites on your own.